With personalized learning a passionate goal of parents, students, educators, and policy makers, why are online resources for learning still so uninspired? Technology and education science are sufficiently advanced today to create authentically transformative digital learning tools and experiences, and yet the market offers us little but apps and services with the same old limitations that evolved from cohort-based lock-step classroom instruction. The answers may lie in the uniquely challenging market conditions of our education system. The solutions to those challenges may comprise largely untapped opportunities for innovators of all kinds. Clayton Christensen and his colleagues wrote the book, Disrupting Class in 2008 to describe how technology could bring new kinds of educational opportunities to all kids, often through on-line learning experiences of different kinds. Beyond that, however, the Clayton Christensen Institute recently published a paper that goes much further, describing the unique characteristics of the education system as a market and introducing us to the theory of hybrid innovation. Michael Horn explains that a key characteristic in the education market that changes how disruptive innovation will work for education is a lack of non-consumption – nearly all kids go to school and the market for schooling outside the system is comparatively small. Since the school system largely has a monopoly on education, anyone who wants to reach a big market needs to sell there, but the school system values things like buildings and age-based cohorts and summative testing that are hard for new entrants to provide. Hybrid innovations that support the existing features of schools, while offering new value propositions are the ones that can be successful in this environment. For example, on-line content that allows kids to rotate through digital math stations or allows teachers to flip the classroom – these innovations take advantage of on-line learning within the context of a traditional classroom and have been found to have a great deal of benefit. Over time, by using these hybrid innovations, schools will reach a “tipping point” where the new technologies have so much to offer that the old, traditional, classroom-limited models will fade away and be replaced by mastery-based learning – an important disruption, indeed. Disrupting the structural elements of class, while necessary, is not sufficient to enable students to take ownership of their learning. Although many constraints about seat time have been removed, students are still held back by the immaturity of available content and assessments. What is needed next is a disruption of pedagogy – the lecture-and-test (direct instruction) pedagogy is an artifact of the days when one teacher imparted facts and knowledge to tens or hundreds of students at once, a straightforward way to teach, but hardly the best way to learn. As education science knows, and as the best teachers find ways to practice, student learning needs to be authentic, have meaning, be social and based in experiences and needs to somehow be connected to what students already know in order for them to meaningfully understand. Great educators, regardless of the constraints placed on them, find ways to shift towards constructivist (or other authentic) practices, themselves disrupting teacher-proof curriculum in their rooms. This shift, subtle though it can be, is generally missing in digital learning technologies and is one of the key reasons that technology’s impact on learning is often so limited. With a handful of exceptions, online content is lacking in sufficient richness to help students achieve deep or meaningful understanding. Watching a video on how to solve a quadratic equation plus practicing solving 50 nearly identical problems doesn’t create understanding or appreciation for the beauty, power, and flexibility of the Pythagorean Theorem. Reading about the five greatest contributions of Ancient Egyptian River Civilizations doesn’t give a 6th grader insight into the salience of those inventions or an appreciation of what the narrative and detective work of historians really looks like. State changes in matter are just words to a 10-year-old unless she has some sense of what chemical bonds really are – its’ as though instead of knowledge she is being given facts as a placeholder for future knowledge, and she is expected to spend the years until high school feeling not quite smart enough to understand what really makes water turn to steam. The technology is good enough today to build on-line math courses where students struggle with great math problems before they reach, or are shown, the answers (see Art of Problem Solving for an example of authentic math learning.) Historians working with the movie industry are certainly capable of showing us the key elements of historical culture through riveting stories and the gaming industry is more than capable of creating a simple but beautiful 2-D app where students create multiple narratives based on evidence from an imaginary lost world to understand the real work of historians. App developers can certainly create games where students play around with forces from the smallest to the largest until they understand how to add energy to a molecular bond or keep a gyroscope precessing – not a simulation mind you, but a game with feedback and winning or losing. These and other games, when authentic to the organizing principles of a given field, can provide the context and framework and intuition that allow students to then understand, and understand deeply the factual knowledge, procedural knowledge, and the deep organization of the systems of a given field. Further, once students have intuitions about what is profound about a field, once they have done real meaningful work that involves struggling with the real questions of that field, the kind of superficial learning that involves committing to memory certain facts and procedures, becomes extremely quick, efficient, and relatively painless. The context in the students’ minds creates a place for these things to rest. 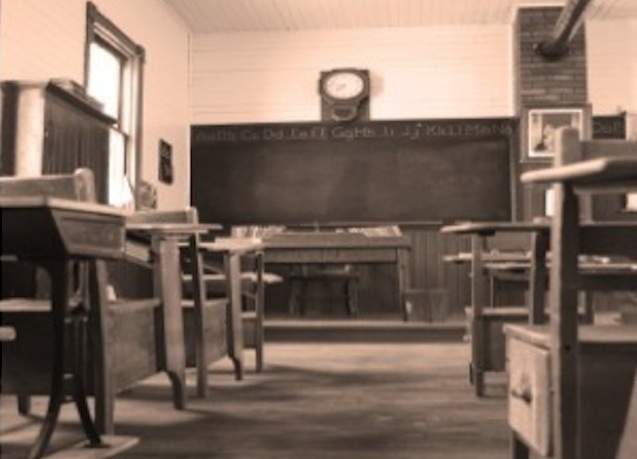 Technologists remember schooling as content transfer and test. They believe they are serving education when they make these two elements more efficient so they create more instructional videos and apps for drill – some better than others. Those who see the opportunity to improve teaching and learning by making it authentic – call it constructivist, constructionist, connectivist, re-contextualized, or what have you, the point is to make learning real regardless off the baggage such words quickly accumulate – are faced with a relatively small market since school is pretty much a monopoly and at the moment, the metric of success for a digital tool is primarily whether or not it improves summative test scores. And the market outside of schools is comparatively small. As a result, most edtech innovators are forced to look and behave like incumbents in order to get a foot in the door of institutional purchasing. Fortunately, the theory of hybrid innovation not only explains the obstacles to disrupting school, it also predicts ways in which innovative products can reach students. I will describe these in more detail in my next post.